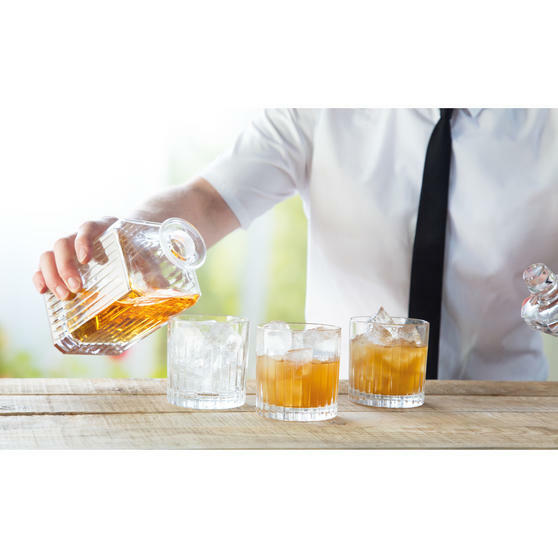 Expertly crafted in the heart of Italy, this set of RCR whisky glasses and decanter allow you to serve drinks beautifully. 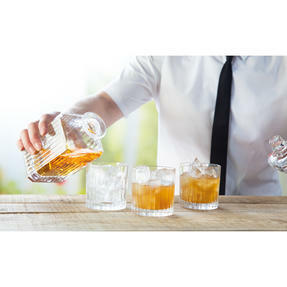 With an intricate Timeless design, the glasses and decanter both ooze elegance and sophistication, an ideal gift newlyweds and for new home owners. Made using the highest quality Luxion crystal, these glasses reflect light to create a dazzling shimmer effect. 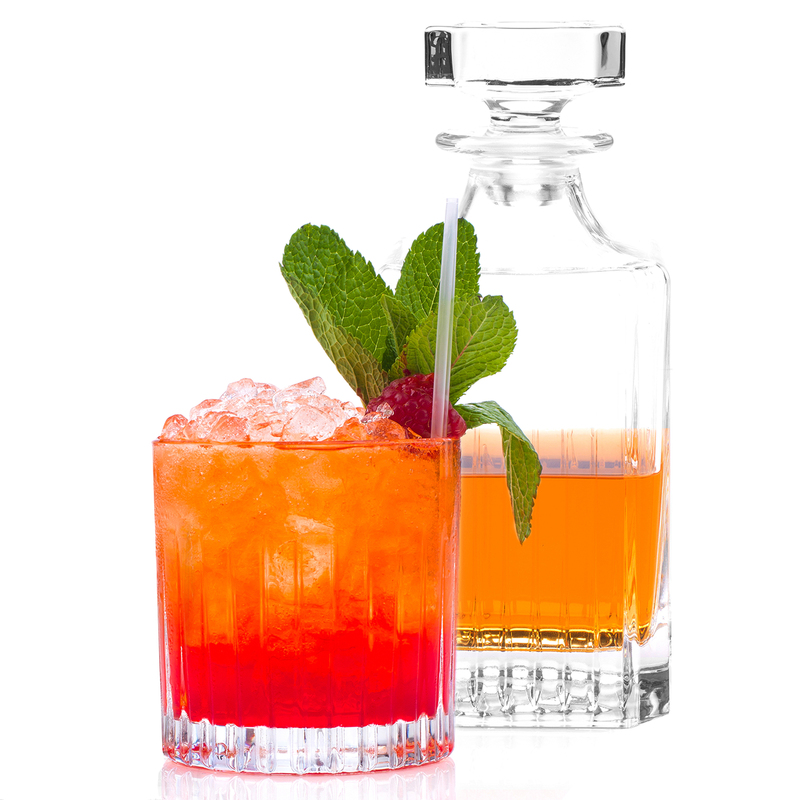 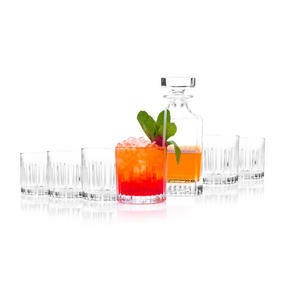 The glasses and decanter are even dishwasher safe so you can easily keep the breath-taking shine. Made in Italy, the RCR glasses and decanter are made of Luxion crystal, renowned for having a wonderful high quality shine. 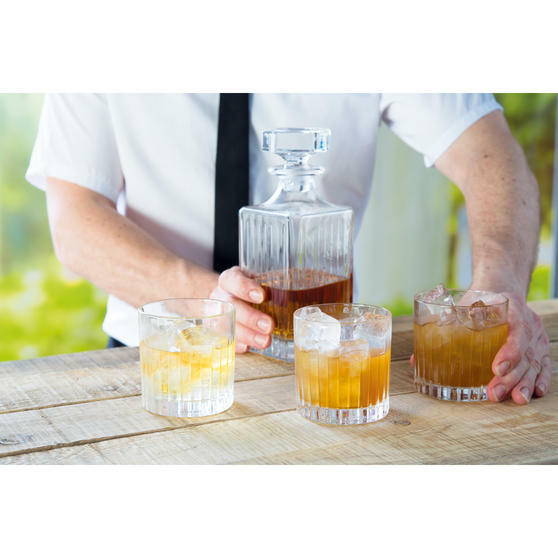 The set includes 6 delightful 310 ml whisky glasses with a stylish classic design which look fantastic alongside the decanter. 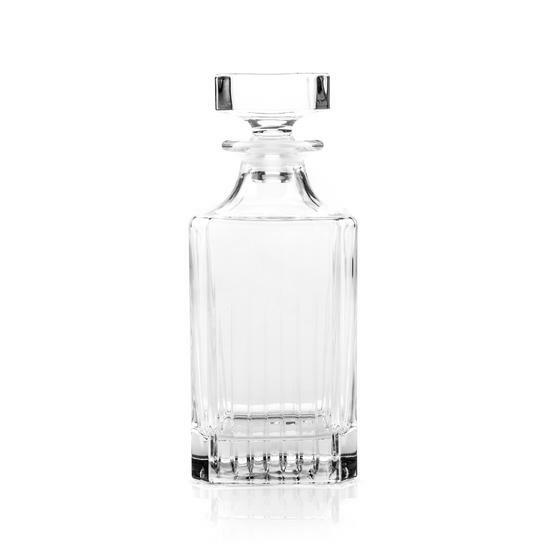 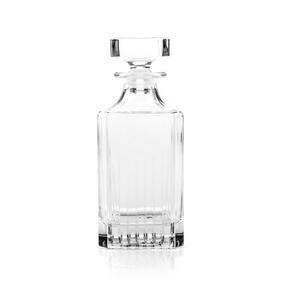 Beautifully crafted, this decanter holds up to 85cl of your chosen whisky, the set is a perfect gift for any whisky enthusiasts. 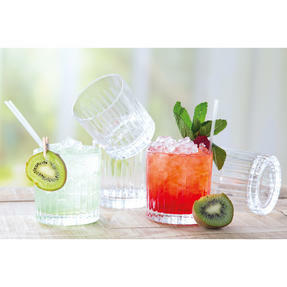 If you are looking to refresh your glassware, this set is a fabulous addition, adding luxury and sparkle to your home. 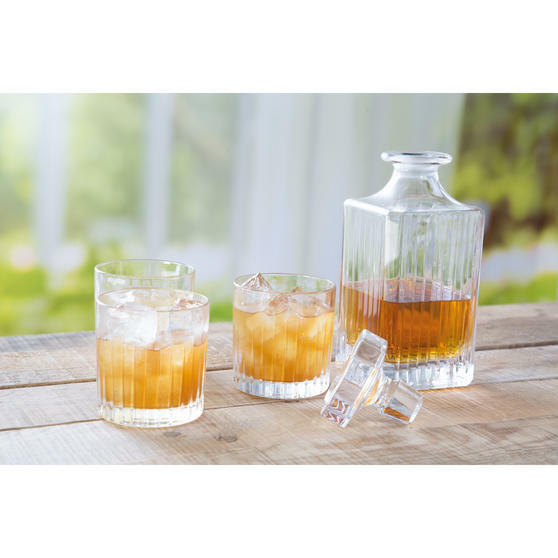 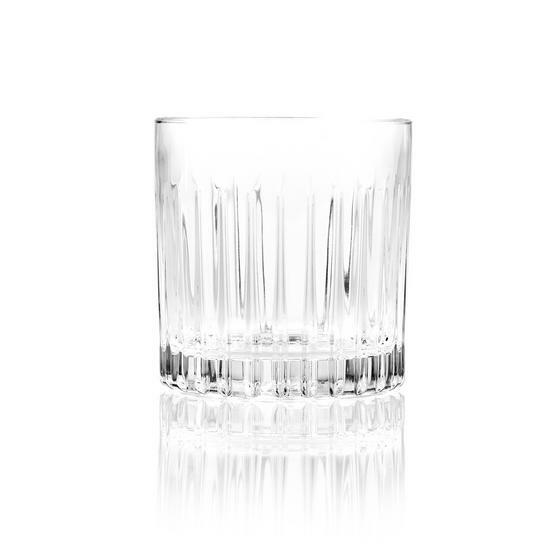 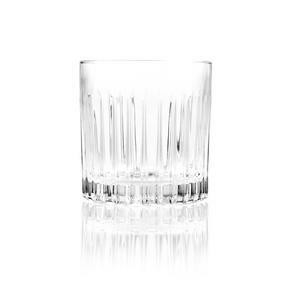 In the beautiful Timeless design, this set of glasses and square decanter will look great in any setting, ideal for any whisky lovers.